The Penang government has filed a judicial review to challenge the Election Commission’s (EC) redelineation recommendations, and to declare them “invalid and unconstitutional”. Lawyer Leong Cheok Keng, who is also Malim Nawar assemblyperson, was appointed by the state government to file the judicial review at the High Court in Penang yesterday. He said the judicial review must be filed within three months from the date of the recommendations, which were gazetted on March 8. Tomorrow is the last day to apply for the review. “We have also submitted an affidavit based on a report on the redelineation exercise produced by state think-tank Penang Institute, led by research fellow Wong Chin Huat,” said Leong, at a press conference in Komtar today. “Along with the report, we have submitted 34 exhibits to support the claim that there is malapportionment of seats in the EC’s redelineation exercise,” added Leong. In his Jan 18 report, Wong had tried to prove that there was “sustaining and worsening” malapportionment of parliamentary and state assembly seats in view of the coming general election. The report was based on the think-tank’s analysis to examine the constitutional compliance of the EC’s recommendation for 165 parliamentary and 445 state constituencies. Chief Minister Lim Guan Eng, who signed the affidavit and statement of claim, says he represents the Penang government in filing the judicial review. 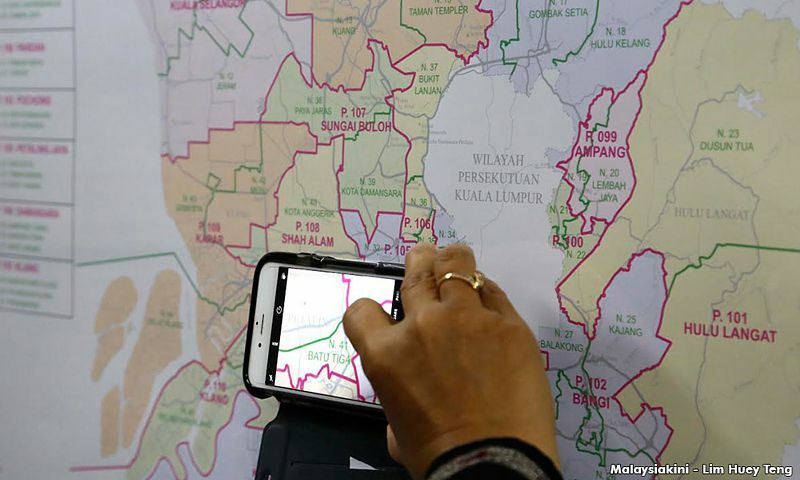 Lim had earlier submitted objections to the EC, to protest the Commission’s failure to carry out redelineation exercises for two state constituencies in Penang, Paya Terubong and Air Putih, the latter being Lim’s state seat.